This will fix most simple problems on PCs. Make sure all the cables are properly connected. You should make sure you mouse, keyboard, monitor and network cables are properly connected. If you are calling regarding a printer problem, check the printer cables and restart the printer. Ensure your hardware is turned on. Make sure you see power lights (mostly green) on your monitor, PC tower and printers. If you are having network connectivity issues, try to open any website. This can help you identify an issue with a specific application or with the general network. 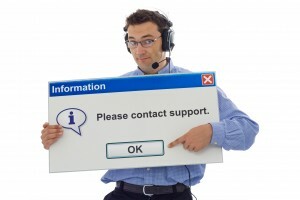 Follow these simple steps before calling our support Help Desk. Whatever the issue, bring it on, we can handle it!